Large main compartment (sized to hold up to a 15" laptop). Front diagonal zippered pocket with rain flap. Interior mesh zippered pocket for organization. 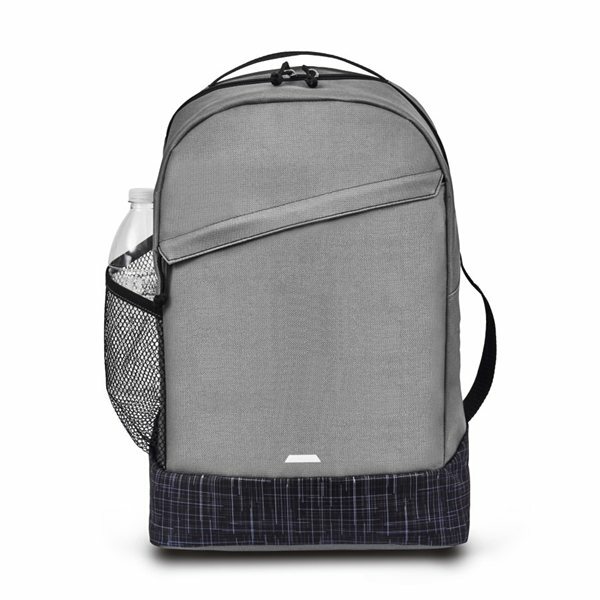 Sublimated pattern at base of backpack continues to back panel and backpack straps. Adjustable, padded shoulder straps and integrated grab handle. Versatile side grab handle designed to hold your garments, clipping on a water bottle, and more.